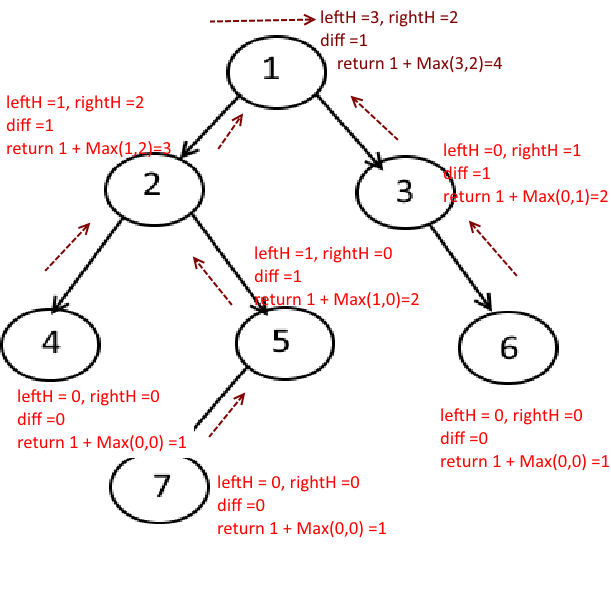 Objective: Given a binary tree, Find whether if a Given Binary Tree is Balanced? 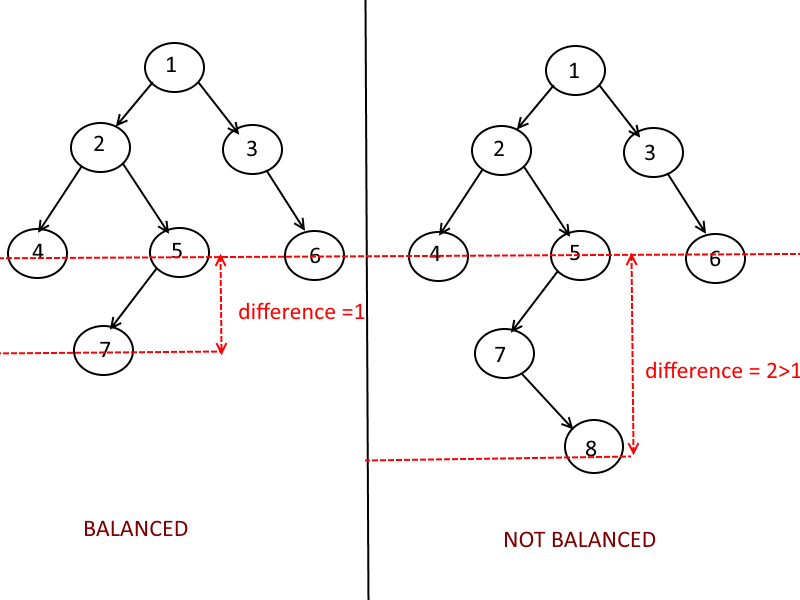 What is balanced Tree: A balanced tree is a tree in which difference between heights of sub-trees of any node in the tree is not greater than one. Output: True and false based on whether tree is balanced or not. for each node of the tree, get the height of left subtree and right subtree and check the difference , if it is greater than 1, return false. Travel all the way down to leaf nodes and then go up. while going up, calculate the left and right subtree height. If the difference between them is greater than 1, return -1. Else Max(leftHeight, rightHeight) +1 . Here you wont actually calculate the height of the subtrees by calling function, instead you will store the height at each level and when you go one level up, you add one to it. Next story Level Order Traversal, Print each level in separate line.